On Monday, the Met kicks off its 132nd season with a new production of Wagner’s Tristan und Isolde by Mariusz Trelinski, with Sir Simon Rattle leading a premiere cast of Nina Stemme, Ekaterina Gubanova, Stuart Skelton, Evgeny Nikitin and René Pape (not pictured). 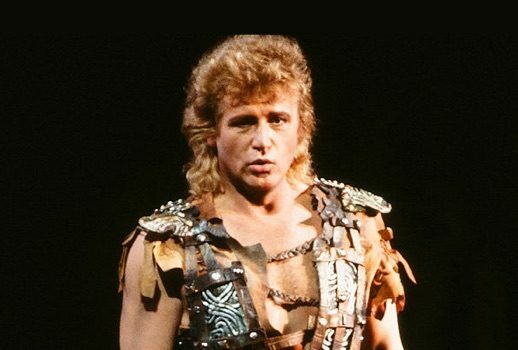 Tristan has been the season-launching opera three times before now, but good luck finding someone to provide a firsthand account of the last time. Stemme and Skelton will follow in the footsteps of Flagstad and Melchior (1937), who followed Ternina and Van Dyck (1901), who followed Lehmann and Niemann (1887). Of these three illustrious pairings, that of Kirsten Flagstad and Lauritz Melchior is most familiar to us listeners of the 21st century. While Stemme and Skelton will be singing their roles at the Met for the first time, the Scandinavian Connection headlined 67 Met Tristans between 1935 and 1941, both at 39th and Broadway and on tour. The 1937 opening night was the 26th of these. Artur Bodanzky‘s cast also included Kerstin Thorborg, Julius Huehn and Emanuel List. The frequenters of out foremost opera house are perhaps beginning to regard the accomplishments of Mme. Flagstad a bit too complacently, for while there was no want of enthusiasm in the reception accorded her, there were numerous vacant seats and the number of standees was considerably smaller that it has been in past seasons at Tristan performances in which she has participated. […] Such artistry is rare in any time, and in our day, when good singing–not to speak of great singing—is all too rarely encountered, it should not be too lightly appraised. Here are Flagstad, Melchior and Bodanzky in the last performance of the 1937-38 season. A review of the historical archive illuminates how the different regimes of different times had differing ideas about what an opening night should be. The incumbent general manager has favored new productions of familiar, popular works, and in one case the Met premiere of an opera many considered overdue (Anna Bolena, 2011). Only once has there been a gala, the 2008 Renée Fleming showcase. Those productions have covered the spectrum from triumphant (Madama Butterfly) to dismal (Tosca) to just “there” (…actually, all of the others), but they have brought to opening night some excitement that had ebbed away in the Crawford/Southern/Volpe years. 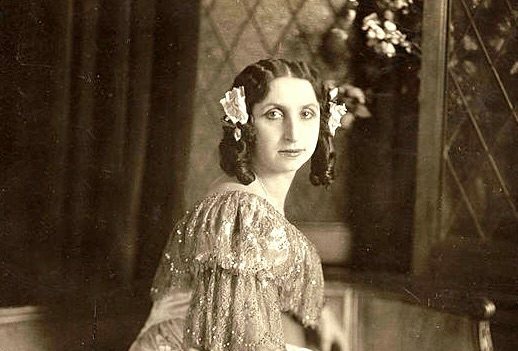 In that era, it usually seemed as though the previous season were picking up where it had left off, with a business-as-usual Aïda, Bohème or Carmen slapped onto the stage in an existing production that had worked or had not worked, plus one big star. “But opera is about the singing!” you say. Yes, yes. 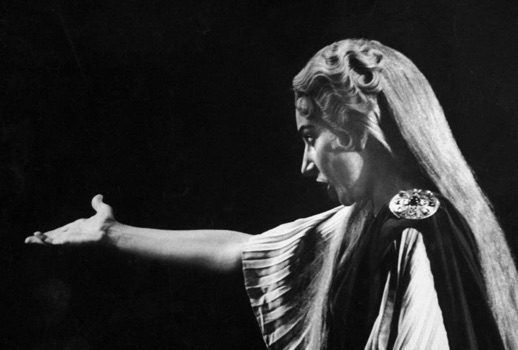 In more distant times, opening night was often a time of important musical debuts. This is something of which we have not seen much in recent decades. In the Gelb era, there have been the slim pickings of Stephen Costello (2007) and Amanda Majeski (2014)… the former in a comprimario role, the latter as an emergency replacement. New faces to begin the season were few and far between in the 20 years prior to Gelb’s time too. José Cura had been highly touted in advance in 1999, but he was an anomaly. 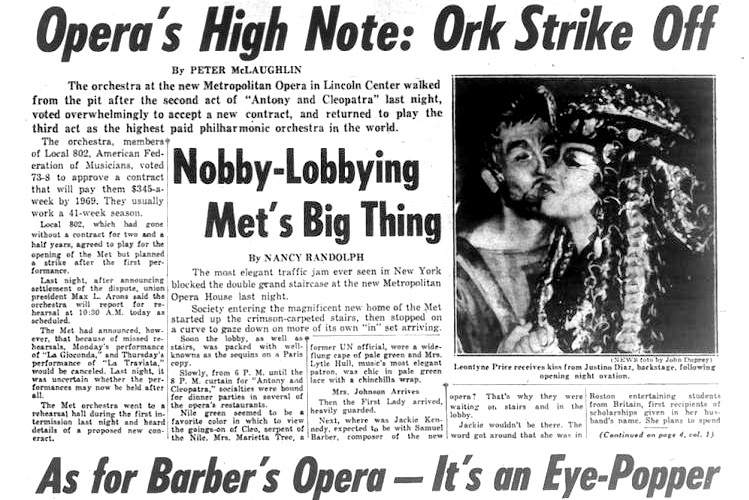 As you will see below, in the Met’s first century, many significant artists were initially heard on opening night. There were so many such examples that I had to leave many out of my survey in the interests of brevity and balance: Geraldine Farrar, Emmy Destinn, Tullio Serafin, Fritz Busch, Erna Berger, George London, Giulietta Simionato, Bonaldo Giaiotti, Florence Quivar, Kurt Moll. In first-night casting, at least, the most recent regimes have been in agreement, sticking with the tried and true. Here is just some of what you could have seen, and perhaps did see, on opening night through the years at the Met. The opera was received with no small favor, but it will have to grow into deep public affection. It is not the kind of work to carry an audience by storm. There is too much thought in it. This brain food may have proved indigestible to New Yorkers of the Gilded Age; the work did not grow into deep public affection. After five performances, it was not heard again at the Met. 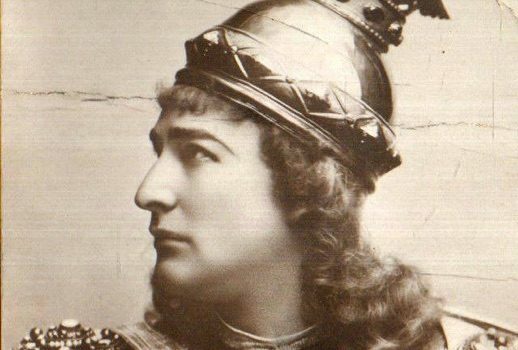 Of the cast members, several of them debuting artists, only tenor Andreas Dippel lasted past the 1890-91 season. He proved valuable in a wide range of repertoire over the following 18 years. There is scarcely a reminder of the old Metropolitan Opera House in the magnificent new building[,] a marvel of brightness in color and grace in all its outlines. The severe decorations of the auditorium, which was destroyed by the big fire, have given place to brighter ornamentation, and, while the seating capacity of the house has been materially increased, the comfort of its patrons has been steadily kept in view in the arrangement of the changes. Surely, all thought of ornamentation and outlines was put to the side when Emma Eames and brothers Jean and Edouard de Reszke got their Goethe on. 1903: “Not that he is the greatest tenor ever heard in New York,” the Sun hastened to assure its readers about a new singer who was no Jean de Reszke or Francesco Tamagno. 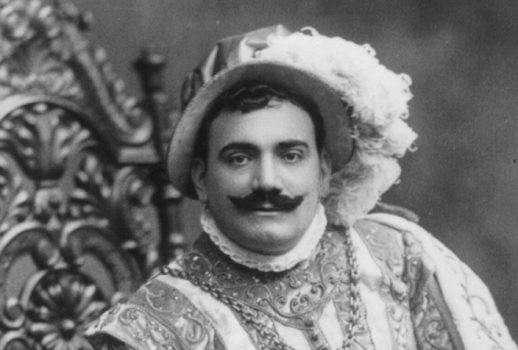 “He pretends to be such a singer in his part as [Marcella] Sembrich is in hers.” Such remarks were typical within the press’s generally complimentary notices for Enrico Caruso. The 30-year-old Neapolitan, acclaimed elsewhere in the world, debuted as Rigoletto‘s Duke alongside Sembrich and Antonio Scotti. 1916: “Pearls of song by all-star anglers were never cast before a more brilliant assemblage […] The old Metropolitan put its best foot forward as it hasn’t done in years,” raved the Evening Sun‘s W. H. Chase at the company’s first complete performance of Bizet’s Les Pêcheurs de Perles, starring Frieda Hempel, Caruso and Giuseppe De Luca. Despite this enthusiasm, the opera received only two more Met performances, sank to the depths for nearly a century, and resurfaced looking very different. 1921: Curiously, the American‘s Max Smith suggested that Verdi’s La traviata may have been too slight an offering for this occasion. One suspects this gifted writer would never have foreseen Meyerbeer’s fall from fashion. 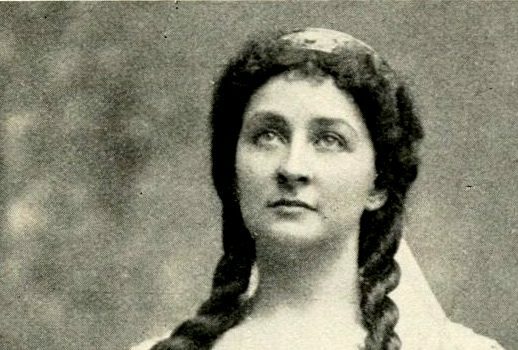 Still, Smith found excitement in the debut of soprano Amelita Galli-Curci. [H]ow fascinating is Amelita’s impersonation of Violetta, already made familiar during her association with the visiting Chicago Opera Company! How imaginatively vivacious in the first act; how pathetic in the second; how tragic in the last. It was fitting, indeed, that [general manager] Giulio Gatti-Casazza should bring forward his latest “star” in Traviata. 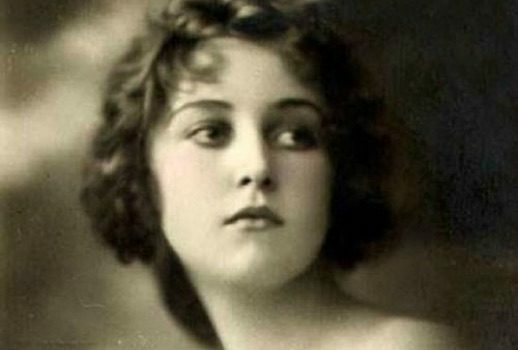 For surely no other role reveals her own peculiar powers, histrionic as well as vocal, to greater advantage; none permits her to disclose more affectingly the characteristic delicacy of her art, the essentially feminine charm of her persuasions. Beniamino Gigli and De Luca supplied the masculine charm. 1926: Another work not long for the Met’s repertory inaugurated the 43rd season, as a 34-year-old bass made his company debut in Spontini’s admired La vestale. “Ezio Pinza, a newcomer, orated the bass pronouncement of the Pontifex Maximus and gave promise of being a useful addition to the company. There is little else to be said. The audience was large, but the familiar excitement of an opening night was absent,” wrote W. J. Henderson in the Sun. 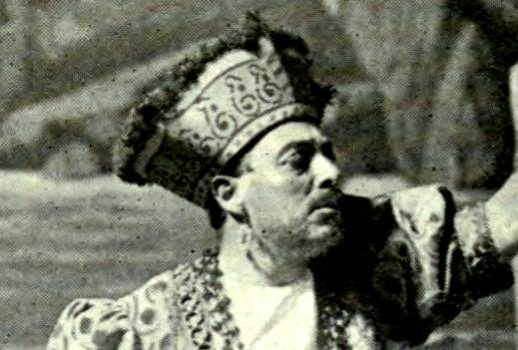 Maestro Serafin’s cast included Rosa Ponselle, Giacomo Lauri-Volpi and De Luca. 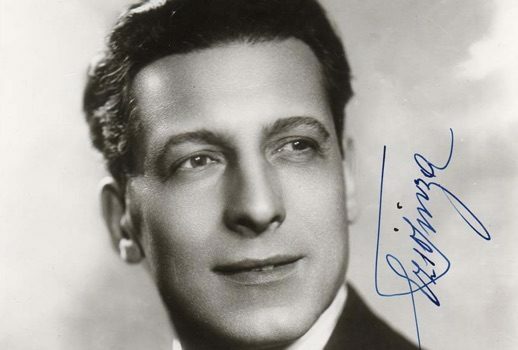 Vestale would receive only two more Met performances, but Pinza would settle in until 1948. From a strictly realistic standpoint, it does not matter very much […] [T]he inaugural work could be almost any choice at all from the Metropolitan’s extensive repertoire, active or inactive. It might be Tristan or Mignon, Madama Butterfly or Dinorah–perhaps only Parsifal or In the Pasha’s Garden would not serve. [T]he Neapolitan soprano […] is a singing-actress of exceptional feeling and sincerity, a gracious and gentle personality, equipped with a sense of the theater and a voice which often serves her responsively as a vehicle of dramatic utterance and lyric speech. She was vocally ill at ease in the first two acts, but later she sang with greater freedom and security, and often with affecting beauty and communicative eloquence. [T]his ever-so-grand grand opera is perfectly suited to the space and paraphernalia possibilities of New York’s historic music theater. It is also a fine vehicle for musical display, and last night’s performance was not wanting in grandeurs from the auditory wing. He praised the sophisticated work of the director and designer. Barbieri, Siepi and Mario del Monaco were this fabled Norma’s colleagues and competitors. 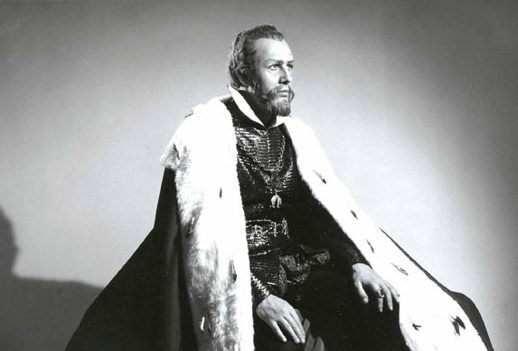 1970: What the New Yorker‘s Winthrop Sargeant found “an unusually sedate and refined” opening night may impress us as more special 46 years later: Verdi’s Ernani conducted by Thomas Schippers, starring Martina Arroyo, Carlo Bergonzi, Sherrill Milnes and debuting bass Ruggero Raimondi. Sargeant felt that baritone Milnes, already a local favorite, had won the evening, but he praised the new kid too: “[A] young Bolognese named Ruggero Raimondi […] sang with fine quality and style, making an impression that will entitle him to many a future role at the Metropolitan Opera. He is not a deep bass, but he is one with plenty of velvet and a commanding stage presence.” Indeed, Raimondi frequently returned, most recently in 2008. 1981: Andrew Porter found little to cheer in a Norma remembered as a lowlight of Renata Scotto‘s distinguished Met career. No one seemed very much interested in anyone else, and the drama dragged. 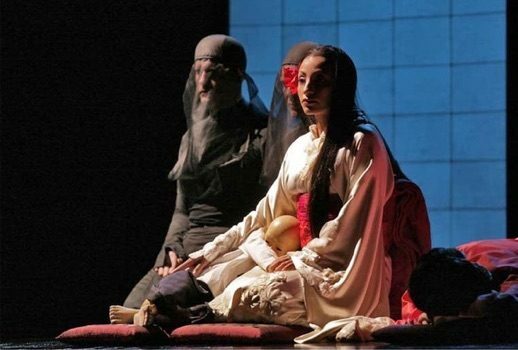 If Miss Scotto’s technical execution was faulty, the others [Tatiana Troyanos, Plácido Domingo and Bonaldo Giaiotti] lacked delicacy, refinement—the individual touches, vocal and dramatic, by which imaginative singers bring Bellini’s opera to life. The approach of the conductor, James Levine, did not encourage them to finesse. He laid out foursquare metronomic rhythms. He was energetic and assured, […] but he showed almost no feeling for sensitive, flexible shaping of Bellini’s melodies. 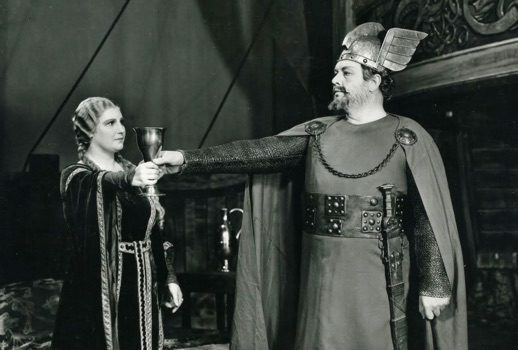 1983: The Met marked 100 years of flush times and lean times, the forgettable and the unforgettable, with a work close to the heart of music director Levine: Berlioz’s epic Les Troyens. 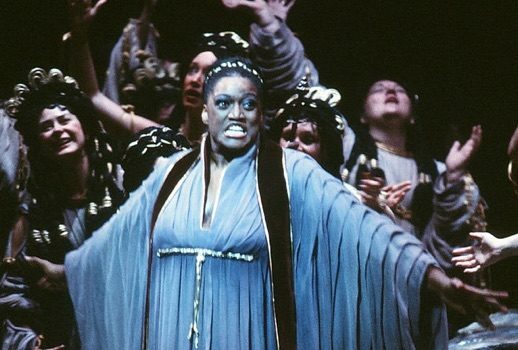 The large cast included Troyanos, Domingo and Jessye Norman, making her house debut as Cassandre (“She delivered her pronouncements with magnificent tone and searing authority, and while her figure is of the same Wagnerian proportions as her voice, she moved with as much grace as grandeur,” per the Daily News). The tenor had had second thoughts about his role’s tessitura and even had asked to be relieved of the assignment. 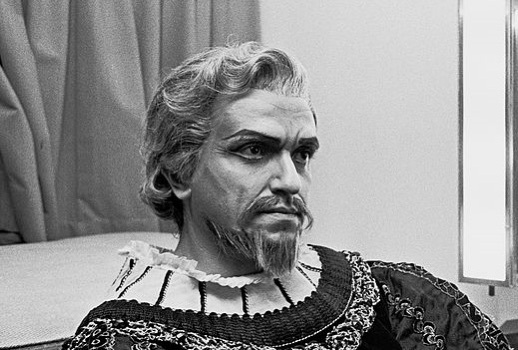 Although his reviews in the main were good, four performances of Enée in this run would be the only ones of his career. Feasible, but on the whole so far from being satisfactory in both large and small matters that the success of the cycle may already be in jeopardy. Otto Schenk‘s staging is a schizoid affair, with naturalistic, 19th-century scenery bumping up against naturalistic acting in a 20th-century style. […] Günther Schneider-Siemssen‘s sets, which look as if they were copied from one of the historical dioramas in the Wagner museum at Bayreuth, are not individual in any way, but they please the eye and would serve well in a performance better directed and better sung. Levine’s premiere cast included Jeannine Altmeyer, Hildegard Behrens, Brigitte Fassbaender, Peter Hofmann and Simon Estes. 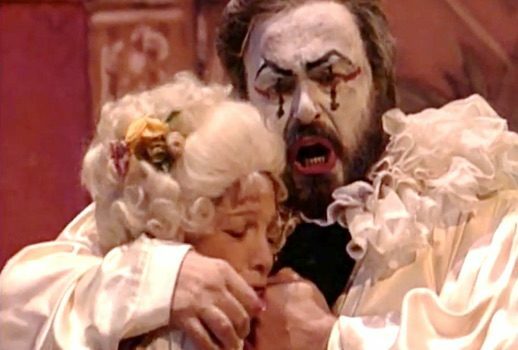 1994: General manager Joseph Volpe scored a coup when two of the famous Three Tenors agreed to share opening night in a pairing of Puccini’s Il tabarro (Domingo) and Leoncavallo’s Pagliacci (Luciano Pavarotti). 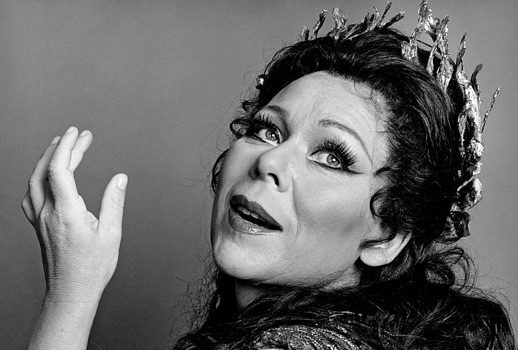 Perhaps the bigger news was the 35th Met anniversary of Teresa Stratas. The elusive and mercurial Canadian performed adulterous double duty as Giorgetta and Nedda. 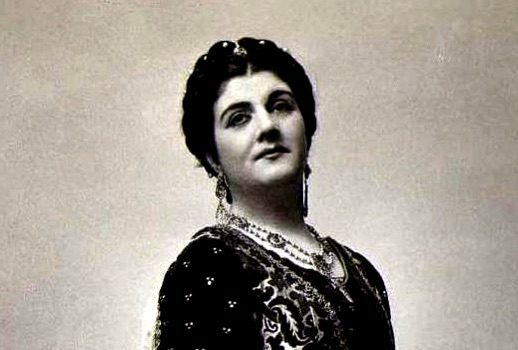 Veteran mezzo Florence Quivar made much of relatively little, stealing a scene as Tabarro‘s Frugola. Levine conducted. a clean-lined, luxuriously spare Butterfly that borrows liberally from the traditions of Asian theater. Minghella is not the first director to try this, but no other director has accomplished his unaffected fusion of East and West with such sumptuous flair—abetted here by the sleek settings of Michael Levine and the elegant costumes by Han Feng—or his highly individual musicality. Levine led Cristina Gallardo-Domas, Marcello Giordani, Maria Zifchak and Dwayne Croft. Sadly, this instant classic was both Minghella’s first opera production and his last. He died in 2008.